From a family of wine-makers, Ben Wiens chose the grain over the grape. Five years later though, he’s making one of California’s most-awarded fruit beers. Just north east of San Diego, Temecula doesn’t feel like the most likely place to find an award-winning craft brewery, but this is the town that Wiens – and its now-famous Apricot Wheat beer – calls home. Brewmaster Ben Wiens and his family have been in the alcohol business for some time, as wine-makers and latterly as brewers. Ben’s own journey started in the 1990s, when he and his uncle decided to learn to brew and – as people did at the time – went out and bought an actual book on the subject. “We both really took to it,” recalls Ben. “My uncle went to UC Davis and on to work for AB-InBev for 12 years. When we came to open this place five years ago, he was instrumental in getting us set up and formulating the first beers. After 18 months he got a great opportunity to work for Stone in San Diego and is now working toward his Brewmaster qualification. He was very much part of the technical side of getting this going for us.” When his uncle decided to move on, Ben quit his day job in IT and took over full time as head brewer. Wiens started off as something of a side project for the family, which had been growing its winery business outside California since 2001. Ben says the work ethic that has made that business such a success has been carried through to the brewery. When Wiens opened in 2012, the local brewing scene was completely different, and had no idea that the single brewery in town before them would grow to six within a single year. He admits that the unforeseen competition forced them to change their business model a little, but that things are going well. “We’ve grown a little bit here and there, added more tanks, doubled our brew capacity; we’re making beer as much as we can in the heat and having fun with it,” he says. This characterisation of Wiens’ progress is somewhat modest though. 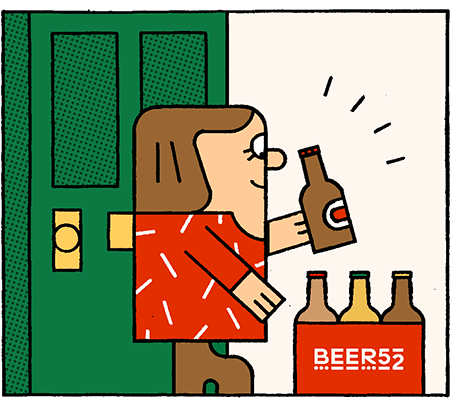 It’s often said in America’s crowded craft beer market that any brewery that wants long-term success needs ‘one great beer’; the beer you take to a festival, and all you hear is people saying to their friends “have you tried…?”. After a couple more equally successful batches, Ben started bottling Apricot Wheat, widening its distribution. In the meantime though, he’d submitted it to the Great American Beer Festival (GABF), almost as an afterthought and promptly forgotten about it. The effect of winning the gold medal at GABF was instant and dramatic. America, Ben found, was full of buyers who had no idea or interest who Wiens Brewery was, but knew precisely what GABF gold meant. Apricot Wheat has won several other major awards since GABF, cementing its position as a force to be reckoned with in the highly competitive fruit beers category. Ben is characteristically modest about the secrets of its success.